Here is a collection of some beautiful graphic design elements that can be used in logo design, web and apps, brochures and other graphic designs. The design elements are in vector format to work well with any media dimension without loosing the quality. 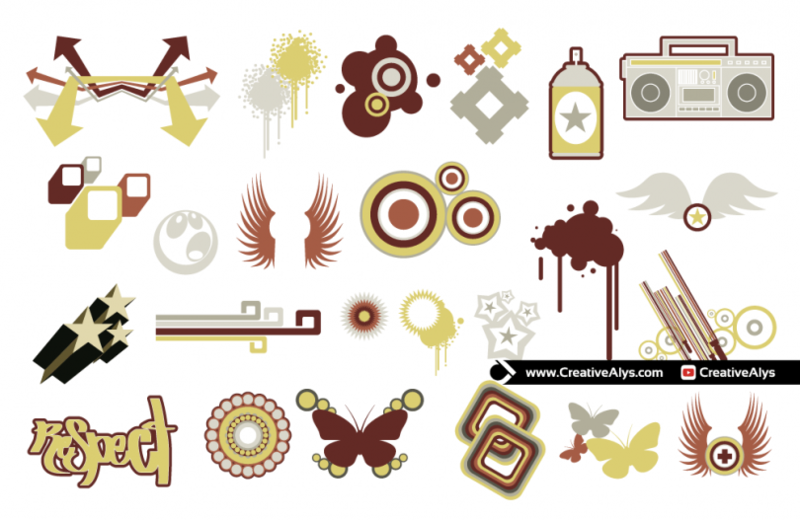 Grab these vector elements now to make your graphic design pop and feel free to share it. These elements are free to use for personal and commercial purpose. Don’t forget to subscribe to our YouTube Channel to get more amazing stuffs and useful information. When anyone enters in market then he faced so many problem.First he want to create his online identity through creative and effective logo designing,graphic designing,website designing.